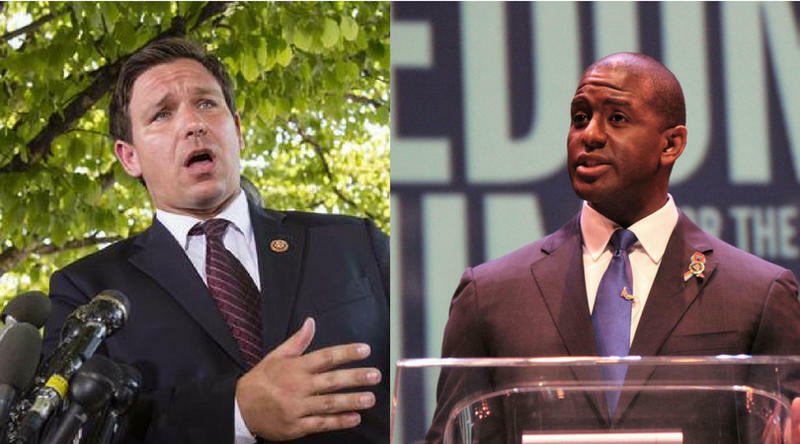 Congressman Ron DeSantis and Tallahassee Mayor Andrew Gillum are the two candidates running for Florida governor. 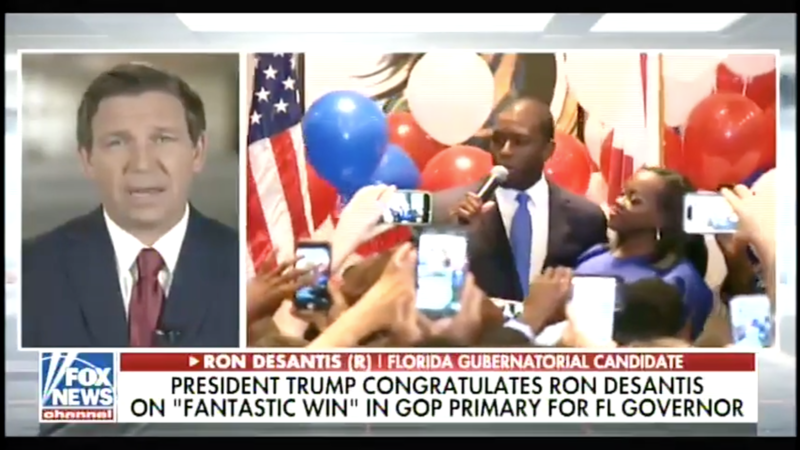 On Fox News Wednesday, DeSantis made comments about his opponent that many perceived as racist. "The last thing we need to do is to monkey this up by trying to embrace a socialist agenda with huge tax increases and bankrupting the state," he said. Sundial talked to CBS Miami's Jim DeFede about the primary election and what the results mean going forward. Listen to a recap of Tuesday's primary elections with CBS Miami's Jim DeFede. WLRN: Do we have a sense of what gave Gillum the final edge this primary election? DeFede: I think there were a few factors. The first is this became a battleground for progressives across the country. They've been dying to prove that a progressive candidate can win. They see this as a microcosm of 2018, of what can happen in 2020. They are using Florida as a proving ground. As a result, you had Bernie Sanders come down and campaign for Gillum. You had George Soros and Tom Steyer pointing up big money to help Gillum maintain some semblance in this race and make a final push with TV advertising in South Florida. Another factor that I thought was critical, is you saw no negative ads run against Andrew Gillum. You had every other candidate bashing each other on TV, whether it was a Levine attacking Green, Green attacking Graham, but nobody took a punch at Gillum. I think for two reasons: one, the polls had Gillum in fourth place so you don't want to waste your money punching down, but two and perhaps, more importantly, none of the candidates wanted to be seen as attacking an African-American candidate. On the Republican side, Ron DeSantis easily took the victory over Adam Putnam. Were there fundamental issues within Putnam's campaign? What did he miss on this? What Adam Putnam did wrong was essentially trying to run a campaign that says 'I'm Florida first, I'm a good competent leader, I'm the heir apparent and I'm the establishment candidate.' Establishment candidates do not fare well anymore in the Republican Party. The other problem was the mishandling of the concealed weapons permits and the process sort of betrayed the notion that he was a good competent person who could manage and run the state. 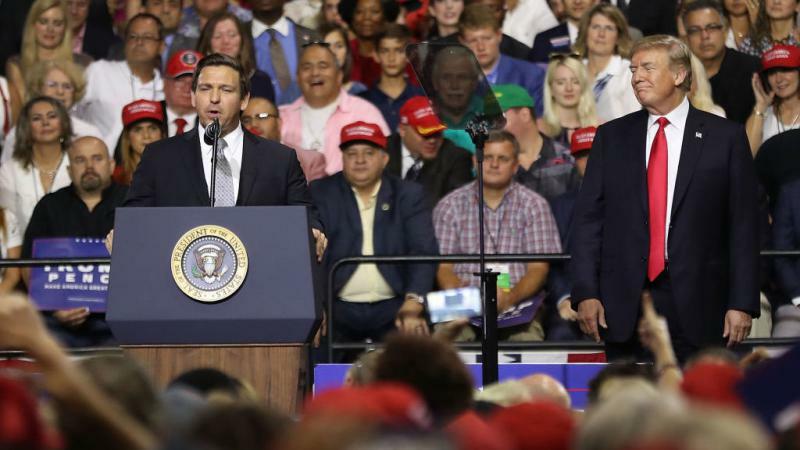 The reality is the second Donald Trump tweeted his support for Ron DeSantis, this race changed. The Florida GOP primary voter is a Trump voter and once Trump tweeted in support of DeSantis you had two things immediately happen; one, national fundraising came in in a big way for DeSantis, and two, Donald Trump made the difference. He takes credit for it. He deserves credit for it. It is Trump's party now in Florida. Congressman DeSantis was on Fox News this morning talking about his challenger in the general election Andrew Gillum and his comments have already stirred some controversy. What do you expect to see in the next few months? Well if this is what the first 24 hours are like, we can only imagine what the next 10 weeks are going to be like. This is going to be a hyper-sensitive race. You're going to see race as an issue. You're going to see a lot of issues being raised and a lot of name calling back and forth. This is going to be down and dirty because there is so much at stake.